Civic spaces and conference centers for meetings in Johnston County, NC. Throughout the county, you will find smaller civic and conference spaces perfect for groups 25-400 for many difference uses like training, social functions, seminars, and conferences. 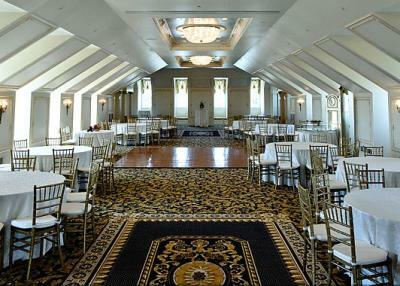 New to the area is The Farm Banquet Center, with 5,000 net square feet for banquets and meetings. This unique venue sits on ten acres of farm land and is suited for exhibit shows, outdoor concerts or festivals. Pictured above it the Johnston County Ag-Center, located outside Smithfield, which also will accommodate groups of 400 people with three breakouts for smaller sessions. Call on the JCVB staff if we can assist you when planning your next meeting.